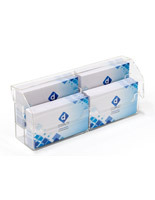 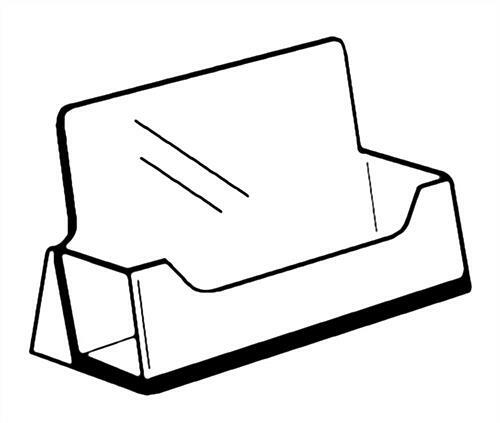 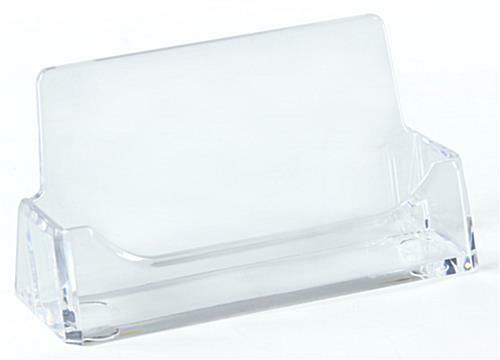 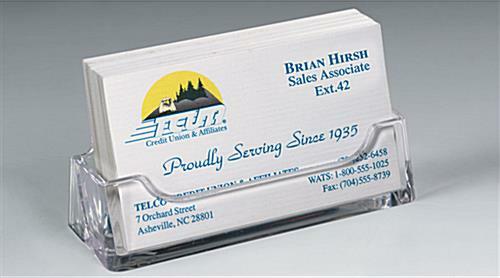 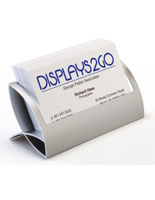 These clear business card holders feature a single pocket design that measures 3.5" x 2.0" with a raised back. 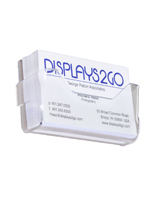 The dispensers are great for placement on reception desks because they can dispense contact information in professional environments. 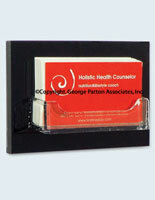 Each of the business card holders is made of strong acrylic and feature a landscape orientation for offering info. 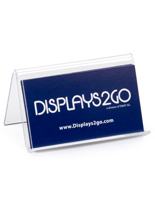 The single pocket displays have an open design that makes it easy to view or take a card. 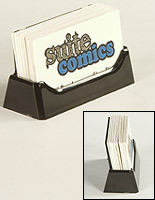 The holders can hold a large amount of information with their 1.5" deep frame. 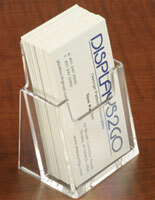 The desk dispensers with a landscape orientation are offered at an affordable price. 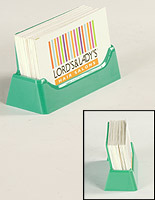 3.9" x 2.1" x 1.5"
3.5" x 0.625" x 2.0" x 0.5"